The Prodigy is headlining the third edition of Electric Castle Festival 2015 and will perform on the main stage of the event. They will be joined by Krafty Kuts & A. Skills, Eskmo, Woralks, Sattelite, Tesco Disco and Silent Strike, who will also be present between the 25th and the 28th of June 2015 at Banffy Castle, Cluj. 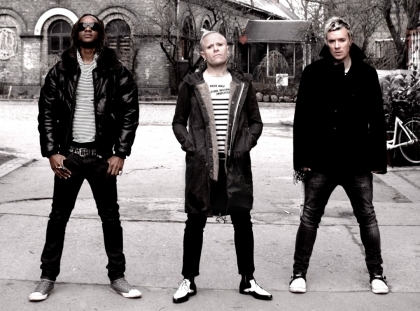 Recently, The Prodigy released their new album "The Day Is My Enemy", that comes after six years of waiting. It is considered one of the best albums of the band's entire career. They will be joined by Krafty Kuts & A. Skills, two British DJs who work together since 2004. With a mix of hip hop, funk, dubstep and drum and base, Krafty Kuts & A. Skills were present on the scenes of many famous festivals such as Glastonbury, Pacha and Homelands. Tickets can be purchased online on www.eventim.ro at the price of 289 lei (plus taxes), available until May 15th. Camping on the festival grounds is possible with a separate ticket, at the cost of 59 lei (plus tax) per person, which is available until 25 May 2015. In addition, until the 15th of May, festival + camping tickets are available at the price of 348 lei (plus taxes).